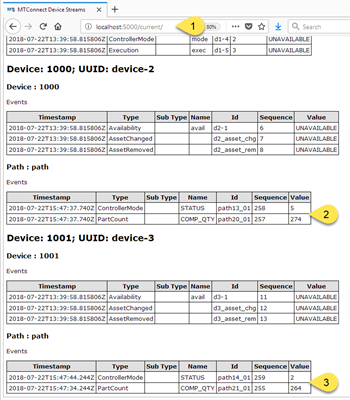 This document describes setup of the MTConnect Standard Agent it’s usage and test with the CNCnetPDM MTConnect Adapter. Start by extracting all files from the ZIP archive to a folder of your choice. Next, open folder \cppagent_win32_Vista_1.3.0.17_bin, create a new subfolder named \Fanuc and a file named fanuc.xml with the entire content of fanuc.txt (copy and paste it). If CNCnetPDM is running on a remote PC please replace Host = 127.0.0.1 with the IP Address of the remote PC.